The faithful formed a human chain to defend their church and cut off the electricity to stop the police using their tools. 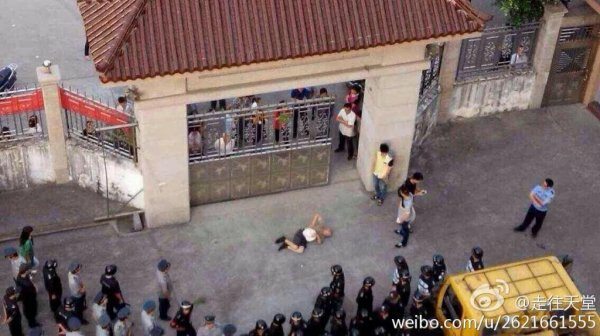 Some of the faithful were brutally beaten. The church was built in 2006 and has all of the required permits from the authorities. The Party is terrified by the rapid spread of Christianity. 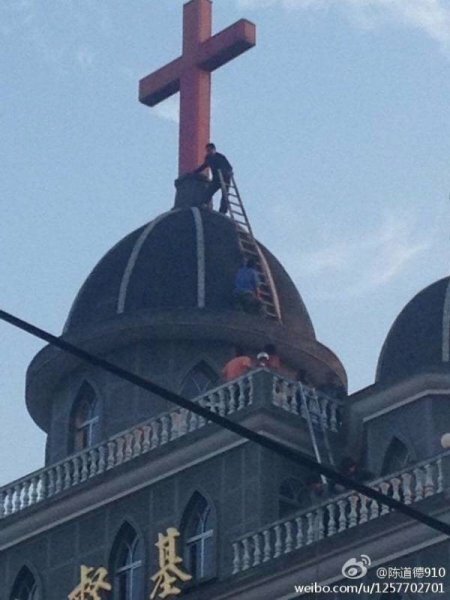 Wenzhou (AsiaNews) - Hundreds of Christians in a village near Wenzhou battles police for hours to prevent them tearing down the cross from the roof of their church. 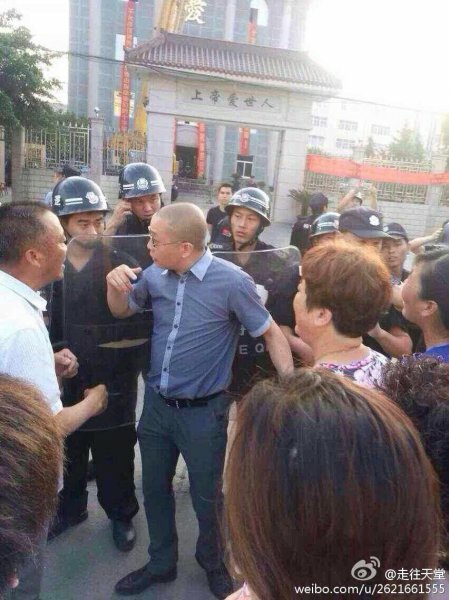 Some members were beaten with fists, feet and batons, but in the end the police have given up (see video here). 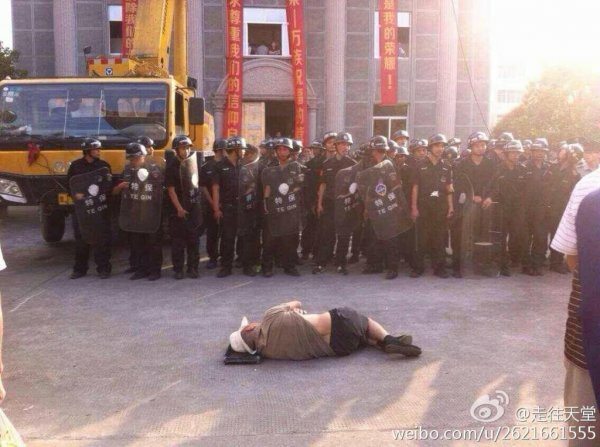 For about a month now, the Communist Party of Zhejiang has been implementing the "Three revisions and a demolition" campaign. They claim that the initiative aims to correct irregular buildings. In reality the campaign is being applied largely to destroy Christian churches, which are rapidly spreading across the province. 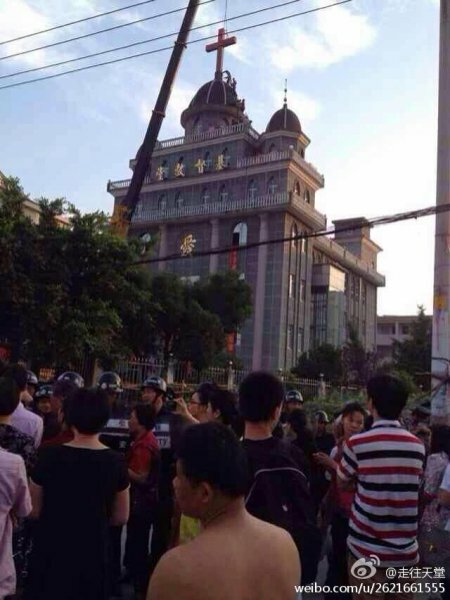 AsiaNews has already published a list and photos of 64 churches destroyed and crosses that have been torn down because of the campaign which is now spreading to other provinces of China. 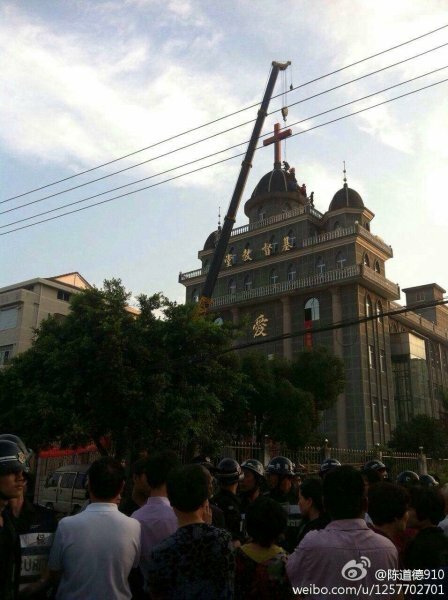 On June 11, 200 Christians defended their Church and its cross located in the village of Guangtou (Beibaixiang, Yueqing, Wenzhou). Days before, the local community received notice that the cross would be removed by the authorities. Since then, the Christians kept watch day and night over the building in shifts, to stop the destruction of the cross. Early in the morning at 5 am, a group of at least 100 people, including riot police, arrived at the church to remove the cross. The Christians called for help from faithful to guard their church and in a short time at least 200 Christian villagers arrived at the square in front of the church. Some of them were able to cut off the electricity, making it impossible for the police to use electric saws. 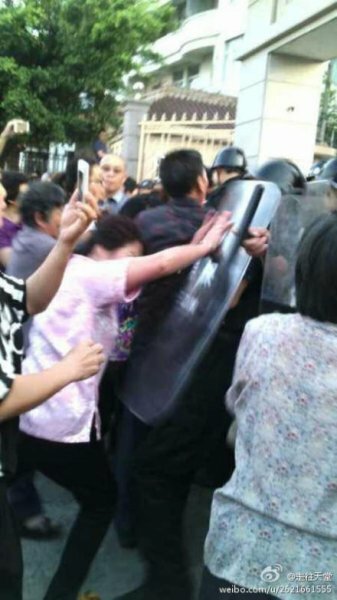 The faithful also tried to remove troops from the church by placing themselves between the police and the church, for which they were beaten, punched and kicked. Some of the villagers were left injured and bleeding on the ground. However, the resistance of Christians was so strong that the police left without succeeding in destroying the cross, at least for now. In fact, the faithful are concerned that they may return in the next few days even more aggressive and in greater numerous. 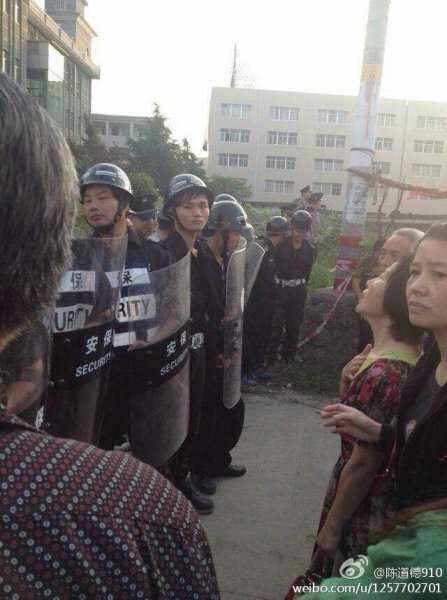 The faithful of Guangtou claim that their church was built in 2006 and that it had received approval and all necessary permits from the authorities. 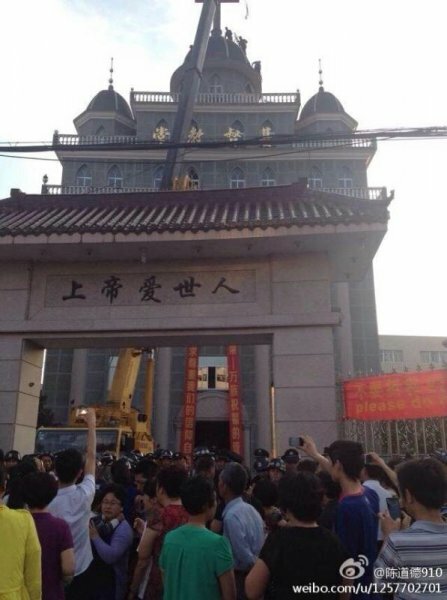 The government of Zhejiang claims that the demolished churches were illegal buildings. But in reality - say many faithful and analysts - the Party fears the rapid expansion of Christianity in the region.